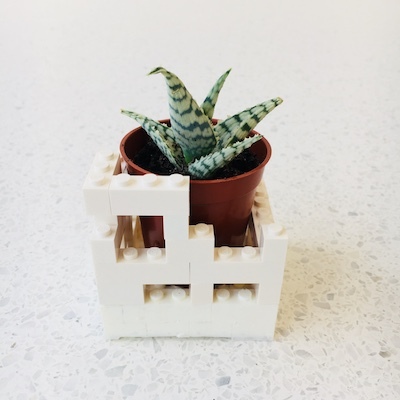 Ariel is an architect at MIT who often works with legos. 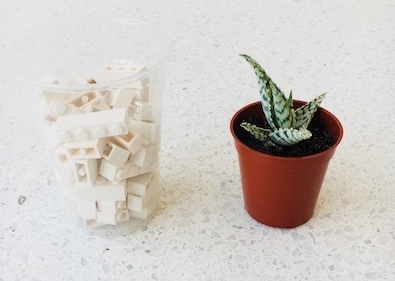 Unfortunately his lego constructions are not watertight. 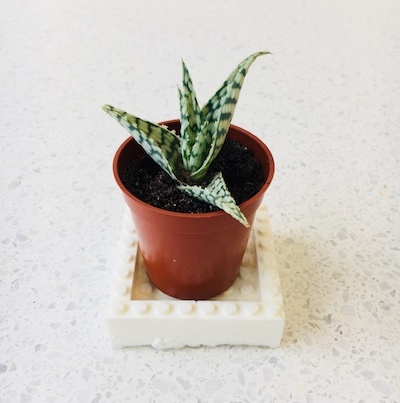 They make bad trays for his potted plants. 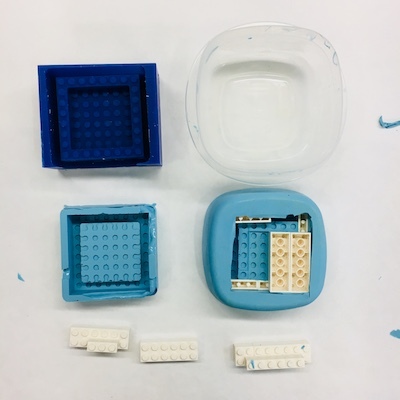 This issue was resolved by molding and casting a solid tray from a lego model. 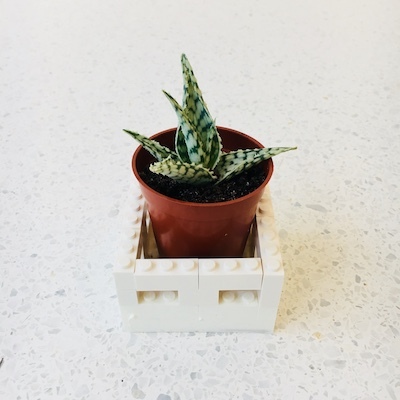 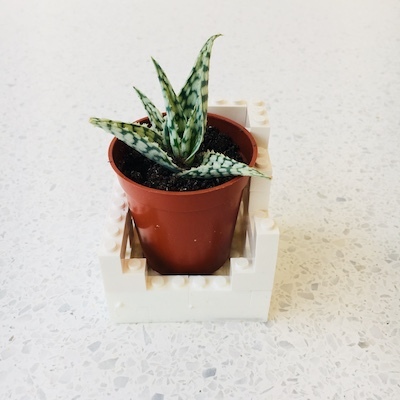 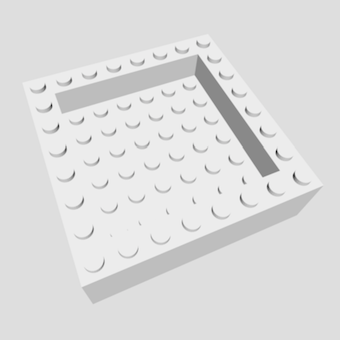 Goal: Make a lego base for containing plants that is 8x8 unit dots. 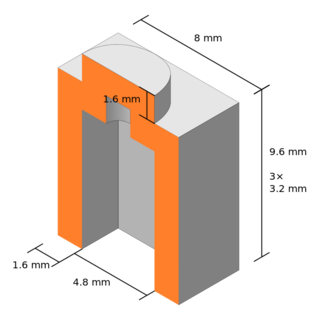 Design: create a CAD model of desired final product. 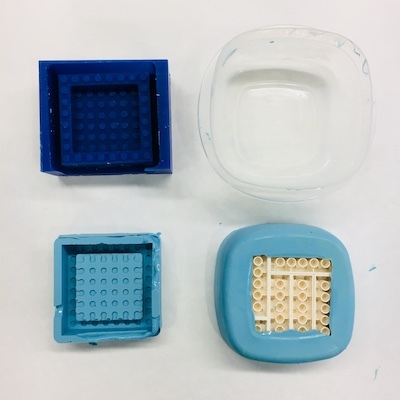 Mill: Machine cut a wax block to create a positive of the design. 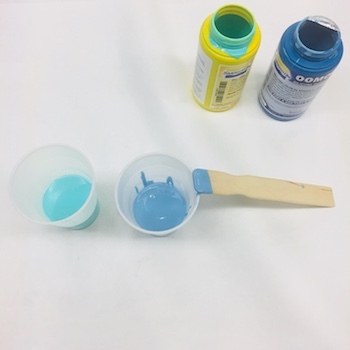 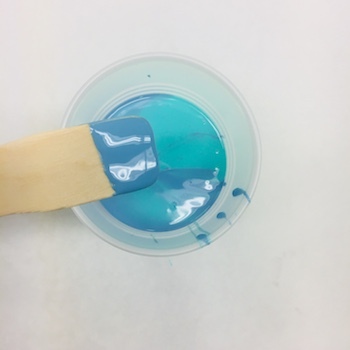 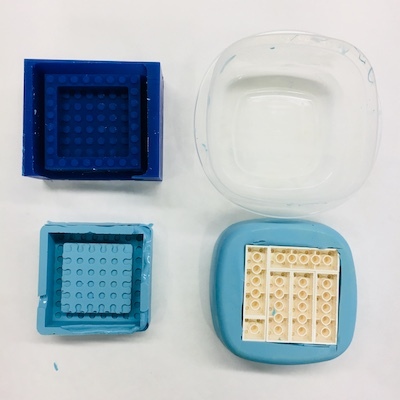 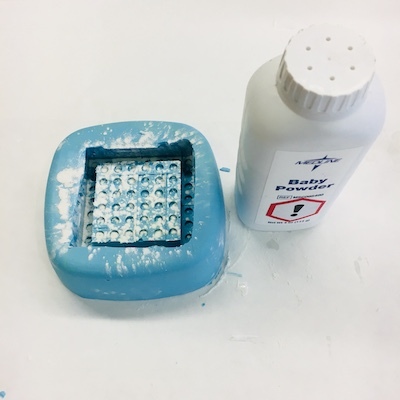 Mold: Pour material (silicone) into the block to create a negative. 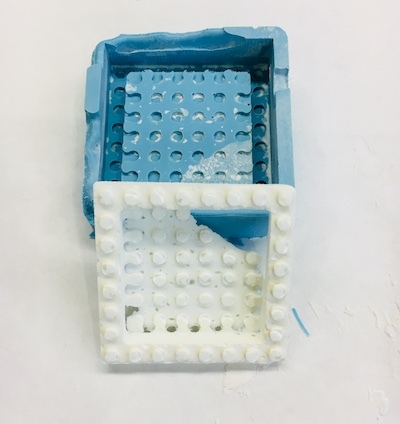 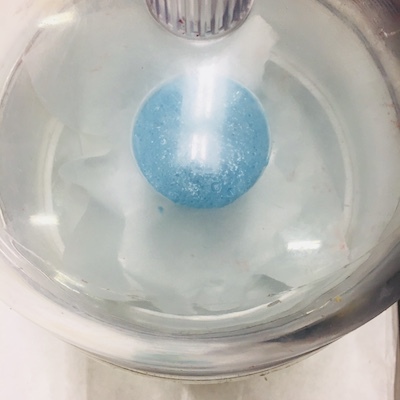 This is the mold. 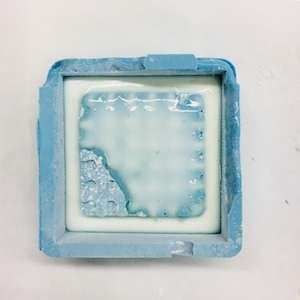 Cast: Pour material into the mold to make the final product. 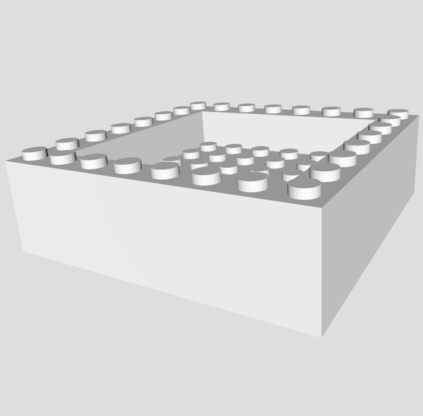 I started with a true lego model and measured dimensions. 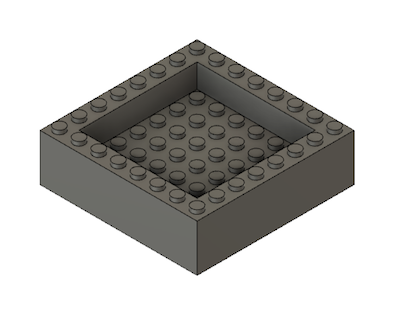 Designing lego models is a great use case for parametric modeling with CAD. 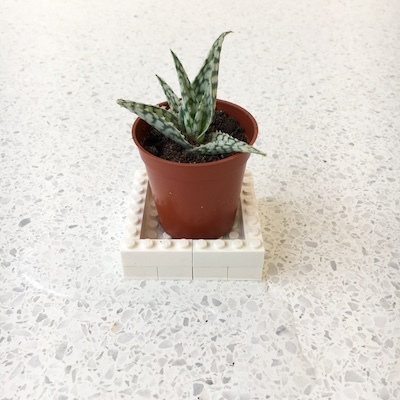 I found some great pages on the subject, created by hobbyists, along with helpful diagrams that aided measurement. 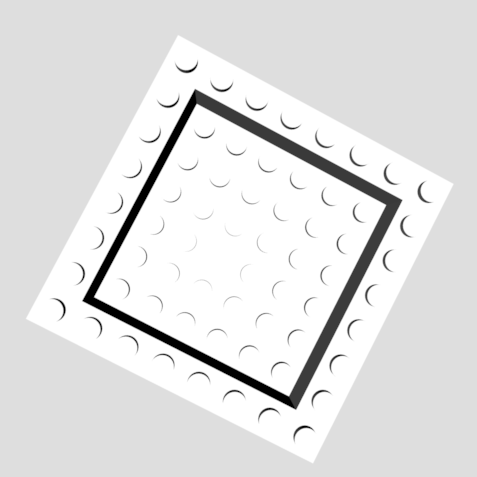 I used fusion 360 to create a model of my lego part. 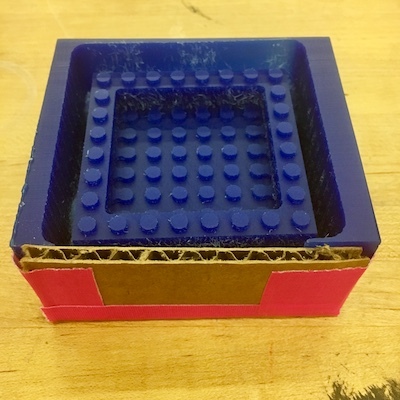 A design goal was to create the lego part with knobs that could fit it to other lego parts. 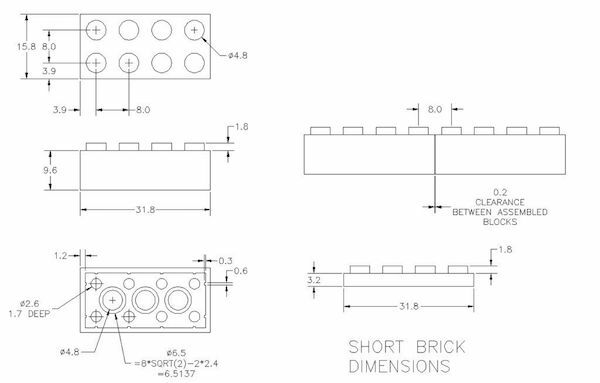 Since an oversized knob would prevent that, I tried to account for possible errors by designing my knobs slightly smaller than the official size (diameter 4.6mm vs 4.8mm). 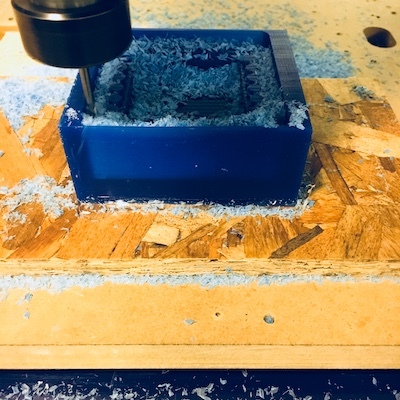 I used the ShopBot Desktop to mill into the wax block. 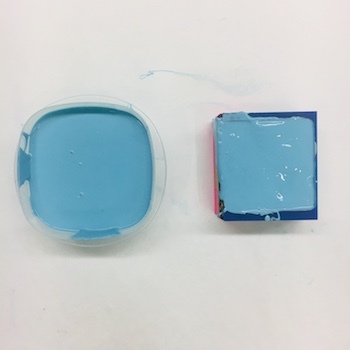 The wax block is 3” x 3.5” x 1.5”. 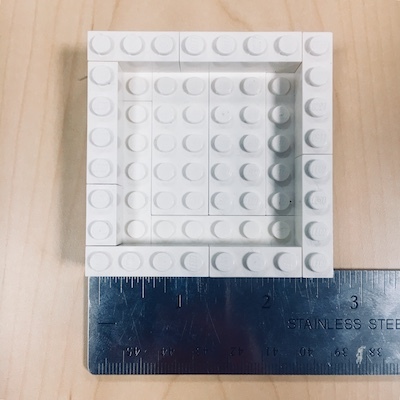 At the time of designing, I knew that creating a lego part of 8 dot units would be cutting it close (pun intended), given that would result in a 64mm lego model, dangerously close to the wax blocks borders. 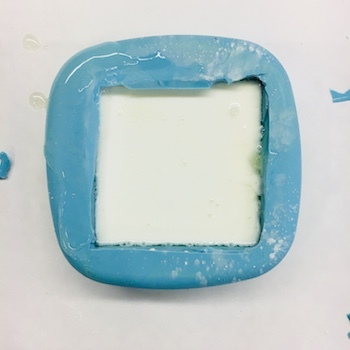 The rough cut did not break through the wax block’s walls, but the finish cut did. 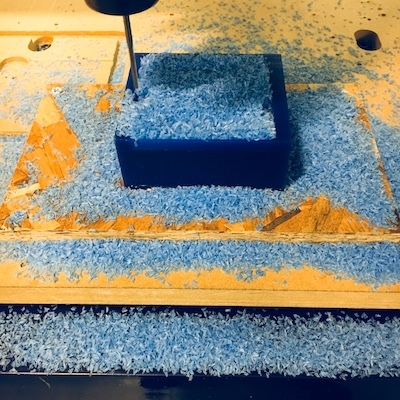 After milling, I patched the wall with cardboard. 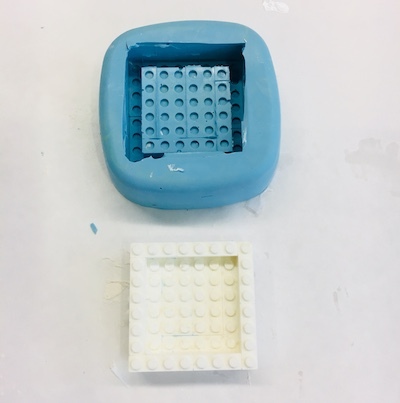 I used oomoo to create silicone molds from both the milled wax block, and the original lego model. 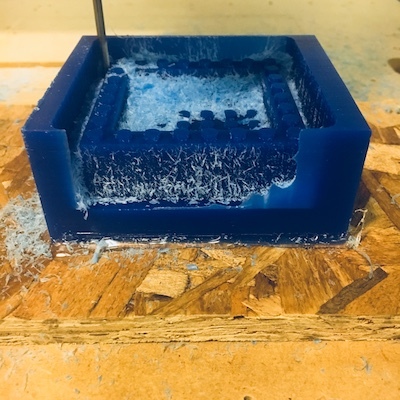 A mistake: I did not mill deeply enough into the wax block, so the walls of the resulting silicone mold were not high enough. 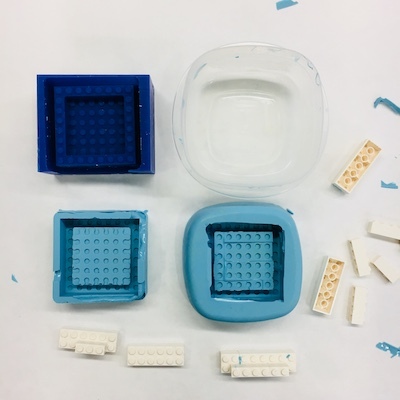 I was glad I had also created a mold from the original legos so that I could use that mold instead of the mold created from the milled wax. 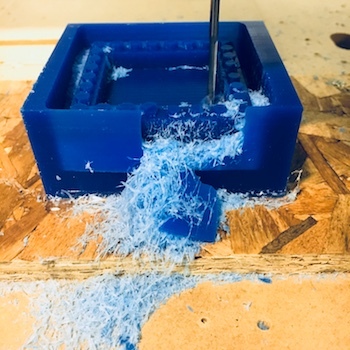 But I first still had fun with the failed mold.